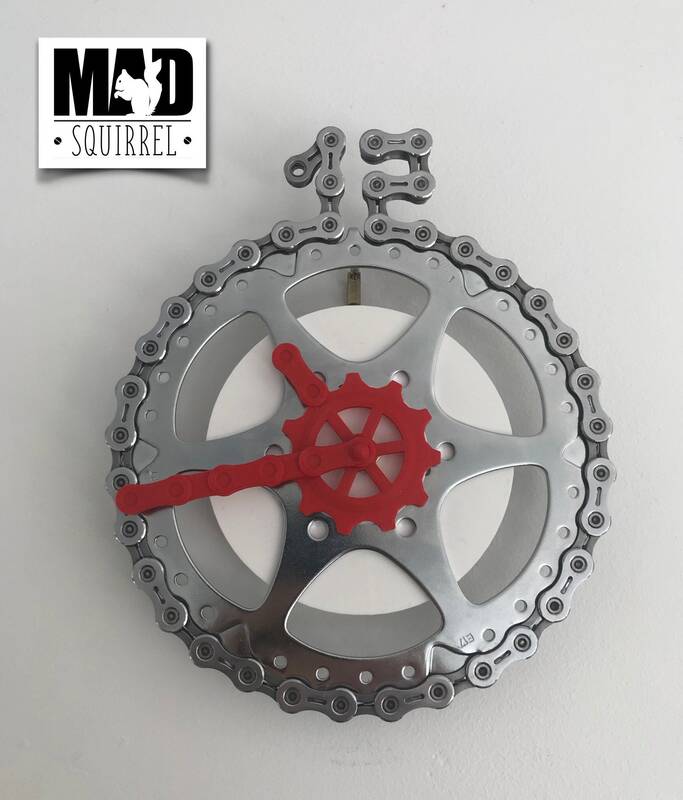 This new beautiful stylish clock has been made from a single Sprocket off a rear cassette with chain wrapped around the sprocket and the number 12 formed on the top. 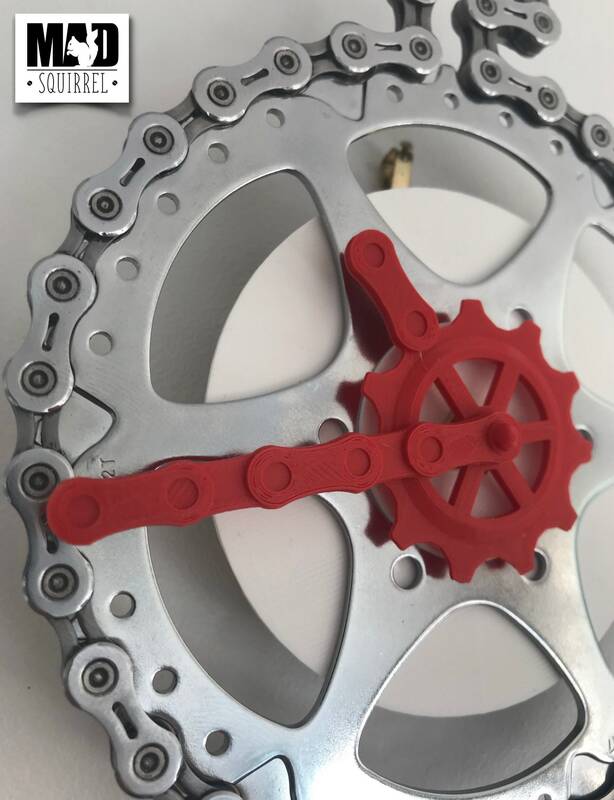 The face is white to show off the polished chain and clock hands. 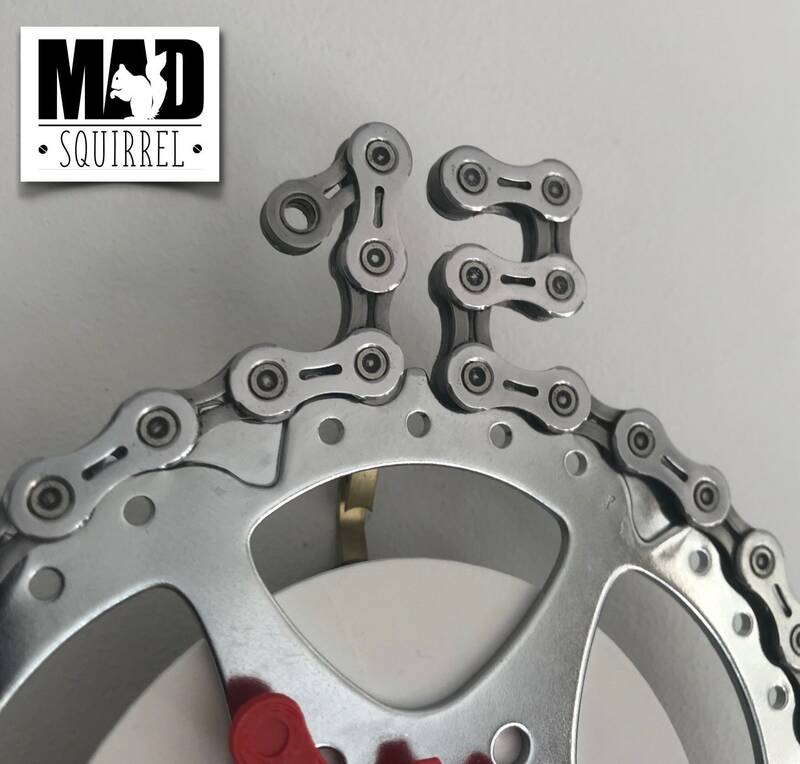 The hands have been designed and made by MADsquirrel. 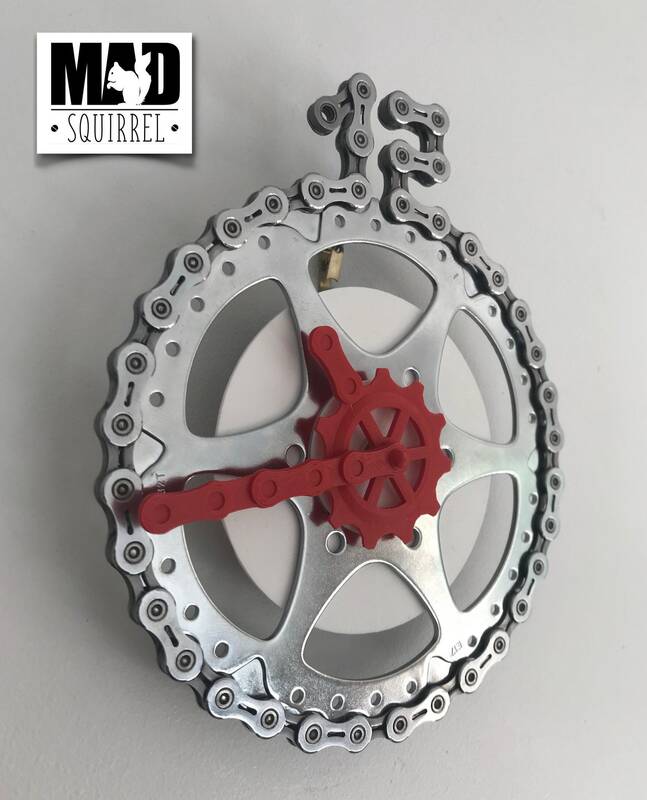 The minute hand is depicting three chainlinks and the hour hand depicts a derailleur’s jockey wheel and a single chainlink. These hands are not available anywhere else. The hand colour can be changed if you wish, colours available included orange, yellow, green, blue, magenta and black to name a few. If you wanted different colour hands please ask me and I’ll let you know if it’s available and how long it will take to make. The clock mechanism takes an AA battery which isn’t included as it can cause problems with Royal Mail.